JACKSONVILLE, FL--(Marketwired - July 13, 2016) - Drone Aviation Holding Corp. (OTCQX: DRNE) ("Drone Aviation"), a manufacturer of tethered drones and lighter-than-air aerostats today introduced the Bolt platform, its newest addition to its drone portfolio. Designed to meet a wide range of military applications requiring persistent, heavy lift capabilities, the Bolt coaxial tethered helicopter delivers rapid setup, high mobility and whisper-quiet operations at altitudes up to 800 feet. "Access to altitude for communications and surveillance provides our military and security forces with critical, life-saving advantages, allowing them to see and reach farther and react quicker, which is why we believe Bolt will quickly demonstrate unmatched value from the battlefield to the border," said Jay Nussbaum, Chairman and CEO of Drone Aviation Corp. "Designed with valuable input from military and civilian customers and partners, the addition of Bolt to our expanding product portfolio will allow us to provide customers with a growing number of cost effective, long duration aerial solutions capable of meeting a diverse range of operational requirements." 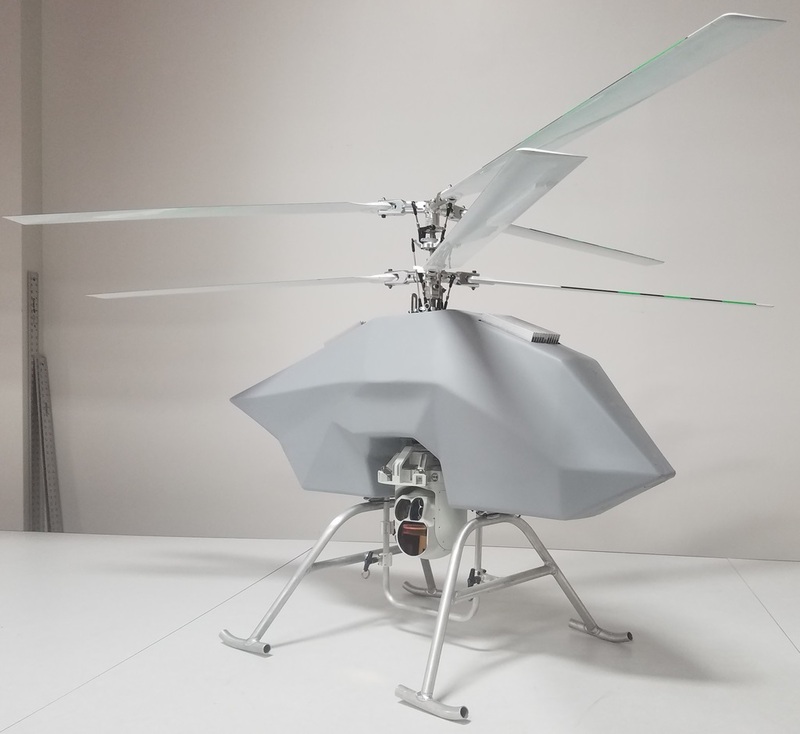 Bolt will be unveiled at the ADS' Warrior Expo East held on July 14th and July 15th at the Virginia Beach Convention Center at Drone Aviation's Booth, #523. Simplified coaxial helicopter rotor design for low maintenance and nearly silent operation at altitudes up to 800ft. Field changeable, "universal" payload bay supporting radio, communications, SIGINT and ISR packages up to 15 lbs. and requiring up to 1kW of power. For more information on Drone Aviation's line of tethered drones including the Bolt, please click here. Drone Aviation Holding Corp. (OTCQX: DRNE) develops and manufactures cost-effective, compact and rapidly deployable aerial platforms, including lighter-than-air aerostats and electric-powered drones designed to provide government and commercial customers with enhanced surveillance and communication capabilities. Utilizing a proprietary tether system, Drone Aviation's products are designed to provide prolonged operational duration capabilities combined with improved reliability, uniquely fulfilling critical requirements in military, law enforcement, commercial, and industrial applications. For more information about Drone Aviation Holding Corp., please visit www.DroneAviationCorp.com or view our reports and filings with the Securities and Exchange Commission at http://www.sec.gov, including the Risk Factors included in our Annual Report on Form 10-K for the fiscal year ended December 31, 2015, as well as information in our Quarterly Reports on Form 10-Q and Current Reports on Form 8-K. This press release contains projections of future results, statements regarding strategy or plans for customer growth, product development and market position, and other forward-looking statements that involve a number of risks and uncertainties and are made pursuant to the Safe Harbor Provisions of the Private Securities Litigation Reform Act of 1995. Important factors that may cause actual results and outcomes to differ materially from those contained in the projections and forward-looking statements included in this press release are described in our publicly filed reports. Factors that could cause these differences include, but are not limited to, the acceptance of our products, lack of revenue growth, failure to realize profitability, inability to raise capital and market conditions that negatively affect the market price of our common stock. The Company disclaims any responsibility to update any forward-looking statements. About this company Drone Aviation Holding Corp.
Drone Aviation's Next Generation Heavy Lift, Higher Altitude Tethered Drone Designed for Persistent Missions, "Bolt."